End of Seasons of Sherri’s Playhouse and Chatting With Sherri and the Chatty Awards!!! The Chatty Awards announcement coming soon! I have always have had a mystical side to my nature. I love magic and mystery. So a perfect series of stories, (which according to Agatha Christie, was never meant to be a series,) is the Harley Quin short stories. You never know what your going to get when you read them. Romance? Adventure? Mystery? Scandal? Death? It has all of it, very charmingly told through the eyes of an older man who has not really lived life but observed it, Mr. Satterhwaite. Until he meets the mysterious Mr. Quin, he really feels that is his lot in life to observe and listen. He knew a lot of important people, appreciated beauty, listened to some of the greatest stories by just being a good listener, but he had never really lived a life that he felt was complete. Until one day he met Mr. Quin and through his encouragement (though Mr. Quin denied it,) he discovered he could be part of the drama, not just a part of it, but a pivotal part. I won’t tell you what the dramas are, you have to read the book. Great price for my books and amazing guests! 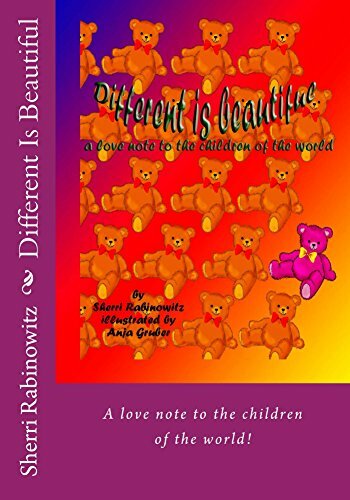 Barnes and Noble had Different Is Beautiful : A love note to the children of the world! by Sherri Rabinowitz and Anja Gruber (Illustrator) on a pop up ad and it was on the top, Wow! https://t.co/d52RZz9Bil ! Ruby Rees; Jane Ross in Miss Fisher, author and playwright; Mary D Brooks, Gregg Oppenheimer the son of “I Love Lucy” creator-producer-head writer Jess Oppenheimer and the producers of Miss Fisher Murder Mysteries; Fiona Eagger & Deb Cox: Tweets earned 10,490 impressions over the last week. This is second time I read this book, (sort of trend because of moving and finding books as I slowly unpack.) I was in my twenties the first time I read it and rather innocent. I was more interested in the glamour and the movie stars then in the real lives. Now as I mature women I read it very differently. With life experience I actually took in thing I don’t think my younger self could have even understood. Some of the lessons I learned from this book was very much needed. It made me feel more understanding and better about my own up and downs and my losses. Grace was a beautiful, accomplished, very intelligent woman, she had a full life that contributed a lot in several ways. As much I enjoyed her many and varied accomplishments I really learned from her mistakes. It was a lot to take in. I interviewed Gregg Oppenheimer for my show Chatting With Sherri. It was a charming chat about his dad Jess Oppenheimer and Gregg’s play about Lucy called; “I Love Lucy; A Funny Thing Happened On The Way To The Sitcom.” So as research I began to read this book. I truly enjoyed it because it was full of information not just about I Love Lucy, which I love but radio shows with Jack Benny, Fanny Brice, Fred Astaire and ultimately Lucille Ball. It was about the life story of Jess Oppenheimer and his memories of the period of Live Radio which was like catnip to me. By the way, the play I mentioned is also going to be a radio show, isn’t that cool? I can hardly wait! This is the third time I have read the novel. It’s been a while and I am a very visual person. I see books as I read them. And Agatha Christie is excellent at painting a picture with her words. Maybe that is why her work translates so easily to film. I have seen both the Peter Ustinov and David Suchet versions of the story. It’s funny what sticks in your mind, some things from the films completely wipe out what happens in the novel. For instance the summing up, it was completely different in both films from the novel. Where they take place, who he talks to and what he says in the novel is completely different, though the puzzle is of course is the same. I love a good movie and though they were both very different from what she wrote I enjoyed them both. You just don’t realize how your mind juggles things till you re-read it again later. I don’t want to give away any of the plot but it is a fun “who done it,” with amazing characters. Like all her books, my favorite part in the book that does not happen at all in the movie is very small but important. 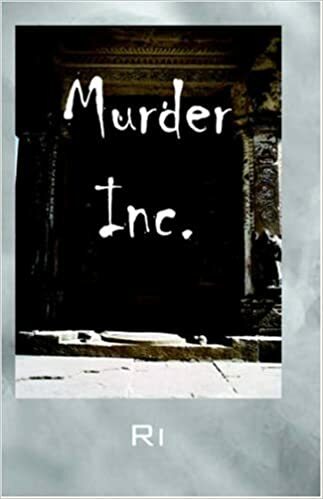 It will not affect the mystery but it tells you how both Poirot thinks and his creator; He is helping Mrs. Gardener with a puzzle, putting the cut out pieces into place and that act in itself actually helped him figure out the puzzle of the crime. To me it says a lot. An Exciting Time On Chatting With Sherri! I am going to do a give away for my book A Kitty’s View, because I lost my own Xena I think I have this wonderful book a bit of short shift, she was my muse and to lose her was so heartbreaking I just could not bring myself to advertise the book the way I should have. So for the first comments about how your pet made you laugh you will win a copy of the e-book, and for grand prize winner a signed copy of the paperback by me, with a nice pic of Xena included. Casting for radio actors for Sherri’s Playhouse play is complete we will start rehearsing soon for the amazing radio play; THE THIEF’S TALE by Lee Murray. Adapted for audio production by Dan Rabarts.